[1:26] <GenteelBen> Your main what? [1:27] <GenteelBen> You absolute madman. [1:30] <GenteelBen> NUC prices are too damn high! [1:30] <GenteelBen> Also their TDPs are too damn high! [1:30] <GenteelBen> I want a modern single board computer, but they don't exist. [1:30] <GenteelBen> So the choice is either an RPi, a NUC, or a mini-ITX whitebox. [1:31] <GenteelBen> Mini ITX can easily be silent, assuming you underclock/undervolt. [1:32] <GenteelBen> Low-TDP CPUs are a scam, unless they drop below 35W. [1:33] <dogbert_2> anyone got a recommendation for a KVM for a wireless keyboard and mouse for a desktop PC and a RPi or Clone? [1:39] <GenteelBen> red_pandabearq: a Ryzen APU, or an Intel+AMD combo CPU+GPU? [1:39] <GenteelBen> The Intel part isn't actually integrated graphics - the Vega core + 4GB of HMB2 is on-die and connected to the CPU via a PCIe link. [1:39] <GenteelBen> ali1234: probably 35W these days, let me check. Their 15W parts are all BGA, that much I know. [1:40] <GenteelBen> Lowest seems to be 35W, ali1234. [1:41] <GenteelBen> The 15W ones can sometimes have a cTDP of like 20W I think? [1:41] <GenteelBen> It's a configurable TDP, goes up and down depending on what the laptop maker wants. [1:42] <GenteelBen> For low-TDP, the surest bet is to buy a G4900T @ 35W. Dual-core, 2.9GHz. [1:42] <GenteelBen> It's not unlocked, so you can't underclock it. [1:42] <ali1234> huh, they don't even let you underclock? [1:44] <GenteelBen> The G4900T has a cDTP of 25W too, so an OEM can ship it underclocked/undervolted. [1:44] <GenteelBen> You could check to see if the board supports configurable TDP. [1:45] <GenteelBen> That being said, single-board computers aren't socketed...so you could just buy a mobile-based "mini desktop". [1:45] <GenteelBen> Tex_Nick: Kodi is good except for the name. [1:48] <GenteelBen> Honestly I'd recommend a dedicated TV set-top box. [1:48] <GenteelBen> A PC just won't be as reliable. [1:49] <red9> 0.470 A @ 3.3V available to be used on the Pi Zero GPIO pin header? [1:55] <red9> BurtyB, This https://raspberrypise.tumblr.com/post/144555785379/exploring-the-33v-power-rail guy seems to have found that 800 mA can be used at the 3.3 V rail. [1:56] <red9> Raspberry Pi B+ with buck converter Richtek RT8020. But it seems Pi Zeros all use 1A rated converters. [1:59] <red9> A question, Are "capture timers" (TIM) available on the BCM chip? [2:04] <red9> It seems STM32-ARM does externally triggered DMA transfers by (ab)using TIM capture timers. [2:05] <red9> ali1234, No they work different in this case. But can work as you said. [2:06] <red9> Instead, upon a flank edge a register will copy the number from a free running counter to itself. And then it will trigger a IRQ or DMA transfer of one word. [2:08] <ali1234> what's it used for? [2:09] <red9> Actually it's possible to record whenever a signal goes 0->1 and get a timestamp and.. have it transferred with DMA to memory. [2:09] <ali1234> yes that's the intended purpose, but this other thing you just described? [2:09] <red9> Perfect to record magnetic media recorded in any format whatsoever..
[2:09] <ali1234> DMA from an external clocked ADC maybe? [2:10] <red9> So the STM32 designer envisioned that users shall specify the register of the GPIO port instead of the counter-capture register. The counters (TIM) won't mind being overflowed..
[2:11] <red9> SMI? I2C thing? [2:12] <red9> interrupt, not DMA request ? [2:32] <red9> I get the urge not too selldom to make a "Pi" that featuresa documented SoC and a documented GPU..
[2:33] <red9> Oh and with hardwired Ethernet-MAC, with option for dual connections. [2:33] <ali1234> maybe just get a FPGA? [2:33] <red9> it's an option..
[2:33] <red9> But ASIC uses way less power. And can be clocked faster. So they are different use cases. [2:36] <dogbert_2> even when setting it up initially? [2:36] <ebarch> works great. even for wifi. [2:40] <red9> Now if the FleaFPGA can implement Amiga. Can it implement some kind of rudimentary well supported Unix platform? [2:41] <red9> Such that one can do A/D and networking with ease. [2:41] <ebarch> Just implement your OS in gates, why don't ya? [2:44] <red9> No MMU in Minimig asfaik. [2:44] <ball> Ah just bung CP/M on it. [2:45] <red9> What makes me wonder the basic premise is "24kLUT elements". It might simply be too few. [2:48] <red9> Amiga 1200 wich has a 68020 with the option of a external MMU can do Unix. [2:48] <red9> NetBSD is supported for it. [2:52] <red9> USB is incredible limited. [2:55] <red9> Btw, the SMI interface looks like some ISA-bus alike thing. [2:55] <red9> It ought to be possible to DMA from it by making the A/D appear at any address. [3:00] <red9> Sun(R) used some special MMU design of their own in the beginnign asfaik. [3:01] <red9> ali1234, I think wiring the OE to the A/D access pin and ignoring the address pins should do it. [3:02] <red9> As for triggering. Shouldn't it be enough to .. "ohh I want to read this 64M x 65536 of data .. DMA kernel call now" ? [3:03] <red9> It should involve using the SMI driver for external "RAM" and wiring the A/D as specified above. [3:06] <red9> But the SMI interface have some unclearities in regards how those pins are used. Contradictory and ambigious names. SO more documentation or a actual working circuit would help. [3:06] <red9> What modes does the SMI driver support? [3:11] <Brometheus> anyone know if i can use a usb stick to load the OS? [3:15] <red9> Any schematic of such external NAND chip? [3:18] <red9> I think that is key. [3:18] <red9> Then just make "fake NAND" which is essentially a A/D..
[3:20] <red9> Is there any peripherial that uses the SMI mode? [3:20] <red9> and which one..
[3:20] <badfitz> Hello! I'm having trouble getting some logitech usb speakers to work on my raspberry pi 3 model B+. I'm using the OSMC/Kodi Operating System and I'm not certain on how to set up the speakers. [3:21] <red9> I get the feeling the Raspberry foundation kind of withholds important documentation..
[3:27] <ball> red9: I think they release what they can. [3:30] <red9> sram to do waht? [3:31] <red9> hook a EPROM instead. Then you can concentrate on the readin operation. [3:38] <red9> So then it remains as to how SA0 - SA5 is used. And the same applies to SD0 - SD17. [3:41] <red9> So how is the device accessed? [3:42] <red9> Not necessarily there. The magic can be in hardware logic. Kind of like finding the driver for DDR dram ..
[3:45] <red9> btw, Do you know what the TE/FL pins in beige colour is for? [3:58] <red9> AVEIN = seems to be video INPUT port ..
[4:08] <red9> I had another idea. The wireless thing on model 3 uses the SD-4-bit interface. Maybe it can be re-used with some SDIO-2-A/D logic? [4:12] <red9> Not PAL/NTSC video? [4:13] <red9> Hauppage cards have already that implemented I think. [4:19] <red9> What instruction set? [4:19] <red9> The blank think is general problem with video stuff (ab)used as generic A/D. [4:22] <red9> Anyway if the Pi is 32-bit wide memory and clocked at 900 MHz. 3600 MB/s ought to be the absolute maximum DMA speed. [4:29] <red9> Just wait for the clock and whenever it goes high with CMD==0 then insert the data? [4:29] <red9> To grab it.. just trigger a "needs loads.. of data". Catch is control over the clock. [4:31] <red9> And no docs.. Except how to do these crap I2C or SPI things. [4:31] <ali1234> well, this is not a microcontroller, you know? [4:31] <red9> it is microcontroller kind of..
[4:32] <dogbert_2> anyone get the 3B+ yet? [4:35] <red9> gordonDrogon has one. [4:35] <red9> Ask in a few hours when he's likely awak. [4:36] <red9> ali1234, That bttv RISC thing seems interesting. But the platform is kind of obsolete so..
[4:42] <red9> ali1234, time to ask on https://www.raspberrypi.org/forums/ ? [4:43] <red9> ie "How do I feed externally clocked 8-bit A/D data into the Pi using DMA at speeds above 100 Msps ?" [4:45] <ali1234> if you are unlucky they'll just give the regular "RPi is for education not... whatever it is you are trying to do"
[4:52] <red9> ali1234, I would just ask for how to clock the data in..
[4:52] <red9> Not the value of undocumented stuff..
[4:53] <red9> ali1234, there is one catch with the SMI interface. How do you handle external clock vs S-Output-Enable..
[4:57] <red9> ali1234, FPGA seems all the more tempting..
[4:58] <red9> I had it figured out how to make a hard fifo using a single DDR memory. Way faster than any wimpsy Pi. [5:09] <red9> What's important to get from old VBI data? [5:14] <red9> I have implemented teletext stuff, so I am indeed familiar with it. [5:15] <red9> catch: how to position the beam precisely. And how to accomplish a controller femtolaser. [5:16] <ali1234> how can we ever keep up? [5:17] <red9> 360 TB in sheet of quartz ought to be cheap. [5:18] <red9> re teletext. To bad our TV broadcaster was to braindead to pick up on the thing about sending programs over teletext. [5:19] <red9> Some government officials even wanted for forbid satellite dishes and video recorders... doh. [5:25] <red9> Now online video eats away broadcast TV pieace by pieace. [5:38] <ball> ali1234: Did you know they didn't have Teletext in America? [5:42] <ball> I'm too tired to think. [6:32] <VoidShift> My first time installing (using linux download instead or premade pi image since it runs a different debian), and I was on root. It warned me that running as root should be avoided, but said I could force allow root if I wanted. Jw why it isnt supposed to be run as root? [7:57] <suttin> control and take over your computer. [9:26] <Togra> so, I've discovered I can echo 1 then 0 to one of the led1's brightness file and it turns off the power LED. I always thought this wasn't possible, but since it is.. is there something I can add to config.txt to make this change stick? [9:29] <Choscura> is that 'pwr' something you guessed with, or did you have a reference to that somewhere? [9:30] <Togra> I think 1, 2 and zero, but it still worked up until the "add these two dtparam lines to config.txt"
[9:30] <Choscura> hmm. Link me what you've got so far. [9:32] <Choscura> and, you haven't tried "PWR" rather than "pwr"? [9:33] <Choscura> lol, "How do I do this to HDMI? Except I'm on Kali"
[10:00] <Choscura> lol good job Togra! [11:46] <gordonDrogon> it's possible that ubuntu doesn't have the right kernel/bootloader code. [11:46] <mlelstv> probably needs newer firmware ? [11:46] <gordonDrogon> all ofthe above. [11:47] <lyakh> firmware?.. oh... cool, didn't think about that... I'll google that - thanks, but any links are appreciated too! [11:47] <gordonDrogon> well - you can take the firmware (bootcode.bin, start.elf) off a system that works and copy it over. [11:48] <gordonDrogon> I'd suggest copying the whole of /boot but you also need /lib/modules to go with it. [11:49] <gordonDrogon> the Pi boot process is: GPU -> Load firmware -> load kernel -> turn on ARM. [11:56] <lyakh> it says "start.elf not launch-able"
[12:10] <lyakh> mfa298: ugh... so, you now have incompatible Pi2 boards out there?? [12:11] <voltagex> hey, it seems like creating /boot/wpa_supplicant.conf is no longer enough to enable wifi on the Pi 3. Also, that rfkill if the wifi country isn't set is nasty. [12:15] <gordonDrogon> also note that the Pi v2 has 2 ARM variants. [12:16] <gordonDrogon> I think the 1.2 is the same ARM as the Pi v3 though, but I'd have to check the version numbrs. [12:19] <gordonDrogon> but personally, unless you've a pressing need to run ubuntu then I'd stick to Raspbian - most support on the Pi than anything else. [12:22] <gordonDrogon> depends how much code you want to write. ROS is just a library to help you with a lot of robotics stuff. you can compile it on any platform. [12:24] <gordonDrogon> e.g. you can make that roboth work with some trivial command-line commands with standard raspbian if you want to. [14:01] <mlelstv> the LED flashing comes from the bootloader. if it still flashes, you have the wrong files on the sd card. [15:18] <red9> Voop, on which model? [15:32] <gordonDrogon> no solder pads that I'm aware of, but the Zero has plenty GPIO that you can use. [15:34] <gordonDrogon> run is effectively reset. [15:45] <gordonDrogon> it was, in its day. [15:46] <red9> Hopefully it's possible to config for PAL. [15:46] <gordonDrogon> curiously enough I've just built a video generator for another project. [15:46] <gordonDrogon> yes, PAL works just fine. [15:48] <gordonDrogon> I have an atmega generating composite video - 320x240 pixels, black & white. [15:52] <red9> Maybe those PPx pins offer the ability to access more I/O or other interesting features. [15:57] <red9> And 2764 eprom isn't the most easy thing to deal with. [15:57] <red9> Encrypt, Pi model? memory size? [15:58] <gordonDrogon> red9, it's a 6502 system of some sort. [15:59] <gordonDrogon> red9, 6522's have 16 + 6 IO pins. [16:00] <red9> 6522 is what deals with async rs232 on the C64 right? 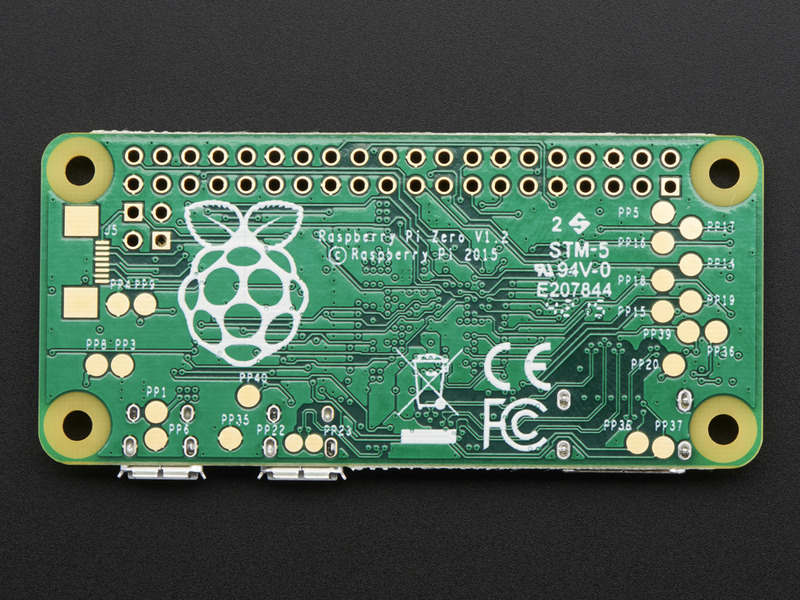 [16:02] <gordonDrogon> red9, no - the 6522 is a 16-bit (2 x 8 plus control) GPIO chip. [16:06] <mlelstv> the C64 has a 6526 which is somewhat an enhanced 6522. And it's used for async rs232, the "driver" does bit-banging. [16:11] <gordonDrogon> Hm. my desktop gives me Debian for uname -a - it's Devuan - I guess they use the Debian kernel + configs, but Pi's don't say. [16:11] <red9> Devuan works on Pi? [16:12] <gordonDrogon> I think /etc/os-release is becoming standardised. [16:12] <gordonDrogon> PRETTY_NAME="Devuan GNU/Linux 1 (jessie)"
[16:16] <red9> I think /etc/os-release is Linux "standard"..
[16:20] <ebarch> indeed. the opposite is a complete lack of choice. as the saying goes... "the nice thing about standards is that you have so many to choose from"
[16:21] <mlelstv> chose from a large set of bad things..
[16:21] <Voop> PRETTY_NAME="Raspbian GNU/Linux 8 (jessie)"
[16:22] <Voop> would that be regular raspbian and not raspbian lite? [16:29] <Voop> would this turn it into regular raspbian? [16:37] <lyakh> mlelstv: hardware problem, yes, I saw that, but mate works well there. 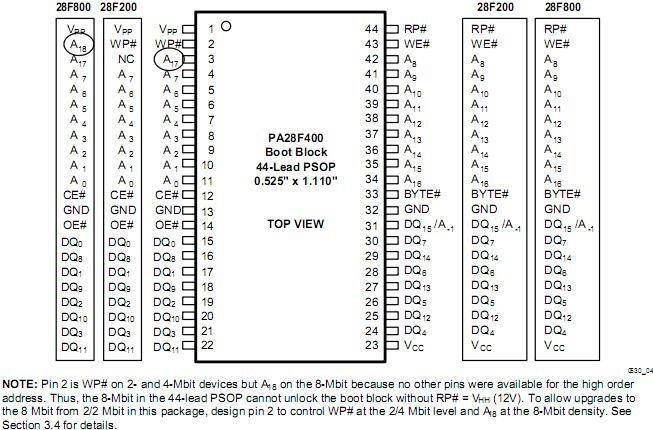 I don't think they'd be using the SD card in SPI mode?.. [16:44] <mlelstv> lyakh, so what happens when you copy over the firmware files from the mate image ? [16:52] <akk> but if apt-get install works, maybe it was just a temporary thing. [16:53] <akk> lsof | grep dpkg/lock is another way to find out if any process has that file open. [16:54] <akk> How about fuser? [16:57] <akk> And you're still getting permission denied? From what command? [16:57] <akk> You don't have a sudo on the second one. [16:58] <Voop> does it need two? [16:59] <r3> the && is like an "AND" ... command after && is executed if, and only if, command before && returns an exit status of zero. [16:59] <akk> You either need &&, or ;, or a newline. [17:00] <akk> then when that finishes, I do up-arrow or ctrl-P, use ctrl-W to erase the update and type upgrade or dist-upgrade. [17:00] <r3> commands separated by a ; are executed sequentially. The shell waits for each command to terminate in turn. But doing that way will run the 2nd even if the 1st fails. [17:05] <lyakh> mlelstv: only those two or are files like start_x.elf also related? [17:27] <r3> akk! I hadn't known about Ctrl-W! Neat! What else in the shell I am missing I wonder?!? [17:33] <akk> Hmm, I don't have those alt-b and alt-f bindings to move by words. [17:34] <akk> yep! That works. alt-b inserts an a-circumflex, alt-f an ae. [17:34] <Habbie> akk, what environment? [17:35] <akk> zsh, but I tried it in bash too. I might have some custom readline bindings to make ^W work right in bash, but it's not in ~/.readline. [17:35] <akk> Nope, other alt does the same thing. [17:36] <akk> And I should mention I'm trying this on an x86 linux machine, not a pi, but I'd think the bindings would be the same. [17:36] <Habbie> i've done that in iTerm on macOS - one alt sends these escapes so that they skip words etc. [17:37] <akk> Ah, .inputrc is the file I was looking for for the custom readline stuff. [17:37] <akk> Apparently I can set up the alt bindings there. [17:38] <akk> I recently got a 10" android tablet for reading technical books -- my kobo 6" is too small for that. [17:39] <akk> Habbie: Yep, still doesn't work so I might have to configure xterm somehow. [17:39] <akk> And yeah, paper books are still better. [17:39] <akk> It's hard to flip back and forth on a digital device -- things like bookmarks and navigation are terrible in all ebook reading apps. [17:40] <akk> OTOH with the tablet I can carry 100 technical books anywhere, that would be a little heavy with paper books. Trade-offs. [17:40] <r3> I've got the large (10") kindle and I am still not sold on it with Tech documents. Magazines, comics, and books, yes, totally, I'm down. But there's something about a paperback. Like I've got an ancient "designing firewalls" book that is chock full of my scribbles in the margins and post-it notes sticking out the top. [17:40] <akk> Yeah, r3, making notes is another deficiency of ebook readers. [17:41] <akk> So many things aren't available electronically. [17:41] <r3> plus physicality is a big thing; where I know in this book where a topic is, or where I've seen an example or something just by flipping approximately to where it is. [17:42] <akk> because I always go on trips and then realize I forgot, again, to bring the relevant geology paper book along. [17:45] <r3> yay I totally derailed and untopic'd the channel into "fun with terminals"!! [17:50] <akk> which makes words break at punctuation characters, not just spaces (very useful when e.g. deleting parts of a URL). [17:51] <akk> Habbie: Yeah, I used csh for many many years so I missed that. [17:52] <akk> and I use these various editing characters like 1000000 times a day. [17:53] <Habbie> oh i found my unix power tools book! [17:53] <akk> so on the maybe one occasion a month where I'd want it, I just hold Shift down. [17:55] <akk> Once or twice a year I need to type a lot of caps for some reason and wish I had a capslock, which isn't often enough to matter. [17:55] <akk> At that frequency, I wouldn't remember which key I bound it to anyway. [17:58] <akk> Voop: I don't think so, but you can apt-get install various vms. [18:19] <akk> Voop: Is there an ARM version of XP? Generally, trying to run on x86 in an emulator on a slow ARM processor sounds like a recipe for frustration even if it's possible. [18:20] <Fulgen> ok, then replace "exist" with "used by enough people so Microsoft should bother creating an ARM version of a desktop OS"
[18:23] <Syliss> cant just run it in a vm? [18:34] <ebarch> out of curiosity, what software are you trying to run? [18:39] <akk> Even if you get an emulator running, it'll be orders of magnitude slower than an x86, and it may not support things like the video chip. 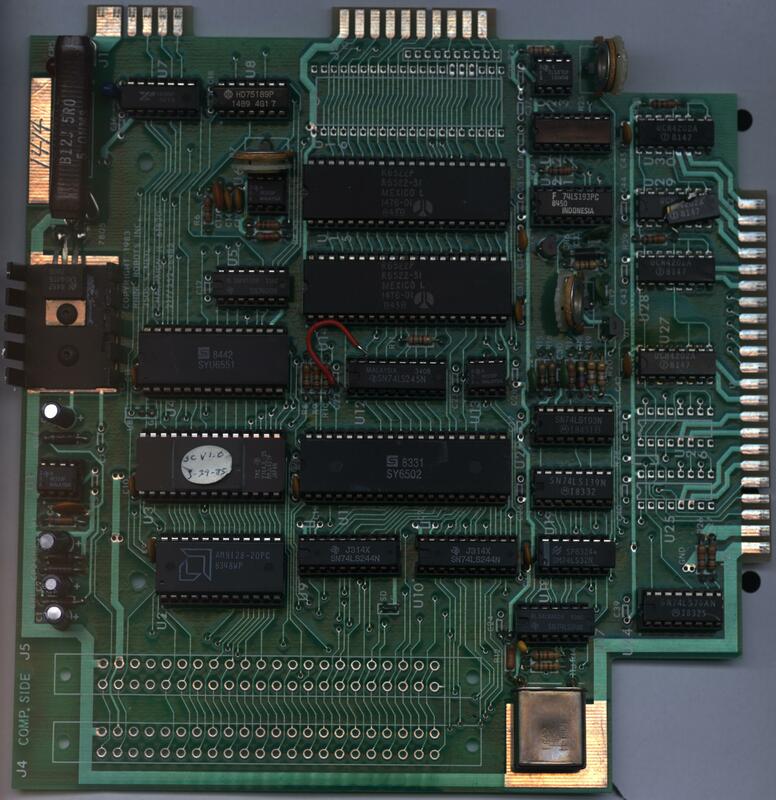 [18:45] <mfa298> That was a real piece of interesting hardware, could have a ARM processor and a 486 processor in the same board and able to share ram and graphics (Acorn RiscPC). [18:47] <mfa298> Voop: emulating XP on a zero is likely to be a horrible experience (if that's what you were thinking of) I think the people that have tried it use the Pi2 or Pi3 and it's still slow. [18:47] <red9> ARM has its roots in 6502 ;) "Acorn Computers considered how to move on from the relatively simple MOS Technology 6502 processor to address business markets"
[18:48] <hotpot33> RPi's power requirements have been causing me a lot of pain recently. [18:50] <red9> hotpot33, need low standby/sleep power? or how to supply power for stress loads? [18:50] <hotpot33> so I have tried a few things, more. [18:51] <red9> hotpot33, which country? [18:54] <hotpot33> Choscura: A ATX power supply (with max powers as 450W) should work, right? [18:55] <stiv> is that 450W on the 5v rail? [18:55] <Choscura> if it's supplying sufficient amperage, yes. But, if it's supplying a down-regulated standard 2 amps, that's gonna be a problem where you see the lightning bolt. [18:55] <red9> hotpot33, Use ATX PSU, wire PS_ON to GND. Then use real cables to the 40-pin IDC (GPIO). Be careful to wire the right pins and polarity. It should provide all the juice you need. [18:55] <hotpot33> stiv: it's max 300W but RPi shouldn't ever exceed 20W, right? [18:55] <red9> As 'mfa298' said.. too little power use can also be an issue. [18:56] <gordonDrogon> A Pi 3+ will barely exceed 10 watts. [18:56] <hotpot33> a dummy voltage? [18:56] <hotpot33> What can I use as a dummy? [18:56] <red9> A thin wire. If you measure it first. [18:56] <gordonDrogon> You just need 5v for hte Pi. It generates the 3.3 and 1.8v on-board. [18:56] <gordonDrogon> don't try to fee din anything other than 5v. [18:57] <_Trullo> ok, so a older raspberri pi is working with my hdmi/dvi adapter but not the new model.. I will try a hdmi/dvi cable and see if that works, found cheap ones on ebay.. but it's strange it works on a older model..
[18:57] <red9> Another approach is to get the power from the PC-4-pin-molex used for harddiscs etc. [18:57] <hotpot33> red9: that's what I've been saying, am I lagging? [18:57] <red9> Then you will already have your dummy load. [18:58] <Choscura> eh, I'm probably remembering that wrong, then. [18:58] <Choscura> mixing up other specs. it's within 3 volts, though. [18:59] <gordonDrogon> have you got a multimeter you can check it with? [18:59] <Choscura> it's possible that this is a dead pi. [18:59] <red9> Riple voltage may also mess things up. 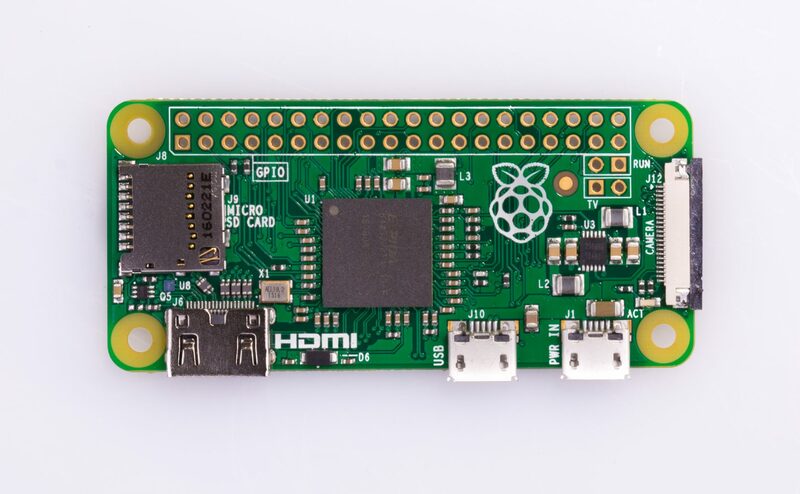 [18:59] <gordonDrogon> a usb port may not supply enough to power a Pi v3/3+. Zero ought to be fine though. [19:00] <Choscura> what do you need to do with it? [19:00] <gordonDrogon> well, if you have a Pc with a spare hard drive power connector, then use that - with the PC turned on. [19:01] <gordonDrogon> assuming you have the neccessary tools, etc. to connect it safely into the Pi. [19:01] <red9> hotpot33, what part of india are you in? [19:01] <gordonDrogon> well, a spare PSU ought to be OK..
[19:01] <Choscura> or is that south of you? [19:03] <red9> hotpot33, I think you have identified a business. [19:03] <red9> hotpot33, Buy large quantities of good electronics. And sell locally, some via mail-order. [19:05] <red9> hotpot33, I have also read that your region has some "political red" problems. So it might be worthwhile to consider other regions. [19:05] <JessicaRN> Habbie: anything else I need? [19:05] <Habbie> JessicaRN, what does your iptables look like? [19:06] <red9> hotpot33, My point being that other regions might have more access to stuff you need. [19:06] <Habbie> JessicaRN, but did you configure NAT/masquerading? [19:06] <Habbie> JessicaRN, what do your IP configs and route table look like? [19:07] <red9> hotpot33, maybe you can cooperate with someone else locally when ordering overseas? [19:09] <gordonDrogon> look for one that says works with the Pi - from Farnell it ought to be good. [19:10] <Voop> how do they not work with rpi? [19:10] <hotpot33> Habbie: even cancer is banned? [19:10] <red9> hotpot33, splice an USB cable to separate the Vcc ? [19:12] <gordonDrogon> the main issue is that USB "chargers" are different from USB power supplies. [19:12] <red9> I wonder what the quality of the Indian 220 V is..
[19:13] <gordonDrogon> battery power banks are usually OK, but they're designed for charging, however I've used an Anker unit to power several Pi's in the past. [19:13] <red9> Btw, India is specified as 230 V 50 Hz. [19:13] <Voop> hotpot33: power bank > male breakout > rpi? [19:14] <gordonDrogon> what modem Pi do you have? [19:14] <gordonDrogon> it will need a good PSU. So a PC PSU ought to be fine - what was the issue when using that ATX PSU? [19:14] <red9> hotpot33, you try to power it via USB or IDC-GPIO pins? [19:15] <red9> Has your Pi ever worked? [19:15] <red9> ie known to work..
[19:16] <red9> I read that the 5V rail input has tolerance of +/- 0.25 V.
[19:18] <red9> hotpot33, try webcam -wifi and then wifi -webcam to see whcich one is causeing trouble? [19:19] <gordonDrogon> Voop, it doesn't quite need that. [19:19] <red9> The Pi might utilize peak loads that normal multimeters atre just to slow to catch. [19:20] <hotpot33> it is a sustained load, amirite? [19:20] <gordonDrogon> it's a complex subject the whole Pi PSU thing. Over the years we've found that various cheap PSUs are not up to it. The other thing is the quality, or lack of quality of the copper from the PSU to the connector. Then the connector. Then there are peak loads - at power on time, and during SD cards writes. [19:20] <gordonDrogon> it all adds up to the need for a good quality PSU and cabling. [19:21] <Choscura> are you guys saying "PSU" to refer to the plug that goes into the wall? [19:21] <gordonDrogon> PSU - wall wart, etc. [19:21] <gordonDrogon> best to just get a good one in the first place. [19:22] <gordonDrogon> although if hotpot33 has an ATX PSU, then that should work - assuming it can be cabled to the Pi safely. [19:22] <hotpot33> I don't get it, why did my RPi not draw 1.8Amp (the max I've seen from my proven power bank) when I did a sustained live streaming from power bank? [19:23] <gordonDrogon> I think it's just a low voltage warning - not specifically "battery low". [19:23] <gordonDrogon> The Pi doesn't know if it's being powered via battery or mains. [19:23] <Choscura> what, the lightning bolt thing? [19:24] <mfa298> Choscura: putting PSUs in parallel can also cause a lot of additional issues - if one voltage is slightly above the others you might end up trying to draw more current from that one and damage it - or the slighlty higher voltage might damage the other PSUs. [19:24] <JessicaRN> can dnsmasq be configured as a firewall? [19:24] <JessicaRN> Habbie: did you see my link? [19:24] <Choscura> live and learn, eh. education outside the system. [19:27] <Choscura> damn, what happened? Wasn't that 600 5 years ago? [19:28] <gordonDrogon> Choscura, no, you can't say that. [19:29] <Choscura> ...oops! sorry, adult words! [19:29] <Lartza> Voop, What do you mean not pulling the amperage? [19:29] <gordonDrogon> The Pi3 has a 2.5 amp polyfuse on the input too, so that'll trip if you plug in anything that takes it over that limit. [19:30] <Habbie> JessicaRN, it's not loading for me, can you try pastebin.com? [19:30] <Lartza> Voop, Supply or charger? [19:33] <Habbie> JessicaRN, what IP does the wan port on the router have? [19:33] <Habbie> JessicaRN, with default gateway set to 11.0.0.1? [19:34] <Habbie> JessicaRN, can you redo the iptables lines with -v added? [19:34] <red9> 70k RPM sounds like a centrifuge..
[19:39] <JessicaRN> mfa298: Habbie the pc is getting its ip from the routers dhcp. should I just set it as static? [19:40] <JessicaRN> I think I get it. [19:41] <JessicaRN> But, before I do this, I'm curious about something. I did a factory reset on the router b4 i started to mess with this. why would it be causing issues? [19:42] <hotpot33> Voop: looks good but I'll need a multimeter to measure how much volts it's emitting so I can adjust it to 5v ? [19:43] <mfa298> JessicaRN: the point about taking it out of the equation is it means fewer potential places causing problems. If the PC->Pi->Internet works then you know it's the router at fault, if the PC->Pi->internet doesn't work then you're only dealing with getting the Pi part working without worrying about whether the router is doing the right thing. [19:44] <Habbie> JessicaRN, that's how it goes - good luck! [19:45] <hotpot33> does this erm look good? [19:49] <red9> hotpot33, Do you have to pay any special customs or taxes on your Chinese imports? [19:51] <red9> Lartza, which country are you reffering to? [19:52] <Lartza> hotpot33, Have you actually tried ordering something that is marked not as gift and over the amount and it got caught? [19:57] <hotpot33> does this look cool? [19:58] <Lartza> That's the same as in amazon but... more expensive? [19:59] <Lartza> Search what? the multimeters? [20:03] <hotpot33> Lartza: don't expect accuracy? wat? [20:03] <Lartza> Do you expect your 4$ multimeter to be as accurate as a 200$ fluke? [20:04] <hotpot33> stiv: except maybe adjusting potentiometers and checking the voltage of the power input, what use is it ? [20:05] <Lartza> Checking that stuff is wired correctly, troubleshooting? [20:05] <hotpot33> if the stuff is wired correctly, it'd work, otherwise not, isn't that simple? [20:06] <Habbie> JessicaRN, the ISP or the IP? [20:06] <Habbie> how about 8.8.8.8? [20:09] <hotpot33> mfa298: so 5v can be potentially 4.8v? [20:11] <hotpot33> Lartza: 9999 counts means X accuracy? [20:16] <mfa298> hotpot33: you need to look up the devices manual/datasheet which might tell you what the measurement accuracy is. A quick look suggestes between 0.1% and 5% on one meter depending on what's being measured and what range. [20:16] <Habbie> JessicaRN_, sorry, i have to go - good luck! [20:16] <hotpot33> I assume more counts == more what ? [20:17] <mfa298> so for 5V at 1% the voltage could be between 4.95 and 4.05v which might be good enough for most hobbiest use but isn't good enough for other things. [20:17] <red9> Don't forget the safety quality when buying multimeters. Is good to have for the mains handling ranges. [20:19] <JessicaRN_> mfa298: is that you wanted? [20:20] <mfa298> JessicaRN_: there's a lot of stuff in there which makes it hard to work out what's going where, it might be worth adding `icmp` onto the end of those tcpdump commands so it filters out to only pings. [20:21] <JessicaRN_> mfa298: for both ports? [20:33] <hotpot33> what then? killing of brain cells? [20:34] <JessicaRN> mfa298: did my link come thru? [20:37] <gordonDrogon> always wanted an old AVO. [20:38] <JessicaRN> did mfa298 take off? [20:39] <mfa298> JessicaRN: sorry, was away from the screen, that's a lot more readable. [20:40] <mfa298> JessicaRN: that looks like the pi isn't attempting any routing, as you're not seeing matchings pings on the wlan0 side to those on the eth0 side. [20:40] <JessicaRN> mfa298: what did i do incorrectly? [20:41] <mfa298> JessicaRN: the ICMP redirects on the eth0 side are also interesting, they look to be tellign the client machine to talk direct to something it can't talk direct to. [20:46] <JessicaRN> mfa298: is it possible to configure dnsmasq to act as a firewall? would that be an easier solution? [20:47] <JessicaRN> mfa298: ok, so what suggestions do you have? [20:48] <JessicaRN> mfa298: ok, so, what should I try next? [20:48] <red9> Lartza, sure, the question is how do you know which one it is ..
[20:49] <red9> Unless it's manufactured in China and say Fluke have quality inspector on site to stamp OK.
[20:49] <mfa298> JessicaRN: probably check what you're routing tables look like now (in case they changed between the various other tables). I'd also suggest sketching out how things are setup as that can often help in working things out. [20:51] <red9> It's about culture and work ethic. Which local culture usually influence. [20:52] <mfa298> JessicaRN: it might also be worth checking ping 8.8.8.8 from the pi works. [20:59] <JessicaRN> Habbie: yeah, freaky, right? [21:02] <JessicaRN> mfa298: are those config files right? [21:16] <mfa298> JessicaRN: excellent, that's where the packet captures come in handy, the ICMP redirect caused me to look closer at the routing table and see that oddity. [21:18] <JessicaRN> mfa298: how can I button down the table to make it work more like a firewall? [21:19] <JessicaRN> mfa298: and, isn't there a setting that lets me deny login to the pi from a specified port? [21:21] <CarlFK> JessicaRN: "specified port" needs more.. um.. context? or something. What do you want? [21:22] <mfa298> JessicaRN: I tend to add some log rules and then add rules to cover the traffic I want/dont want based on what gets logged. [21:22] <JessicaRN> CarlFK: so, the wlan0 port is the outside on this config. Can I deny login from that port? [21:23] <JessicaRN> mfa298: any chance you have a sample of an effective table? [21:24] <CarlFK> JessicaRN: but you don't want the outside, so that doesn't matter. What about the inside port? [21:25] <CarlFK> is the inside a static IP? [21:28] <CarlFK> JessicaRN: right. rpi eth0 static. ListenAddress=192.1.2.3 or whatever the static IP is. [21:30] <CarlFK> er, no =. [21:52] <_Trullo> ok, I'm a dumbass, sorry for the trouble I caused. [22:09] <phoenixbyrd> where is the config.txt file? Do I need to power down the pi and access it from the sd on another pc? [22:44] <phoenixbyrd> CarlFK, I'm comfortable with linux to use daily, install, uninstall apps etc, but not very knowledgeable overall. whats that script do? [22:45] <CarlFK> phoenixbyrd: flases the SD, and then tweaks a few things, like "enable sshd"
[23:03] <BurtyB> Voop, have you tried changing the resolution in raspi-config or are you not using realvnc? [23:49] <CarlFK> tempate: you need to give details about "doesn't seem to work"
[23:51] <CarlFK> do you have rom you can use to see if it can read data? [23:52] <Rickta59> don't you have to erase it before you write it? [23:53] <tempate> CarlFK: Not really. I've programmed some EEPROMs manually but I was hoping to accelerate the process with the pi. [23:55] <tempate> I'm not. Is that a thing? [23:56] <Rickta59> have you looked at any arduino code that does this type of thing?